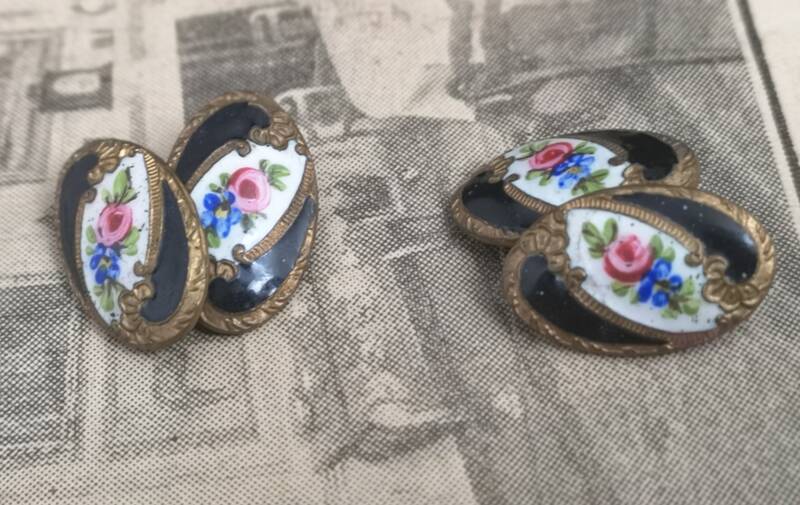 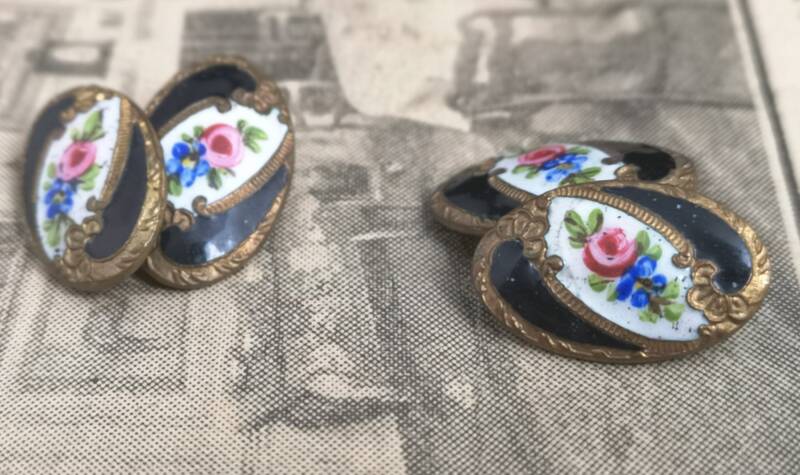 A very fine pair of late Victorian gents cufflinks. 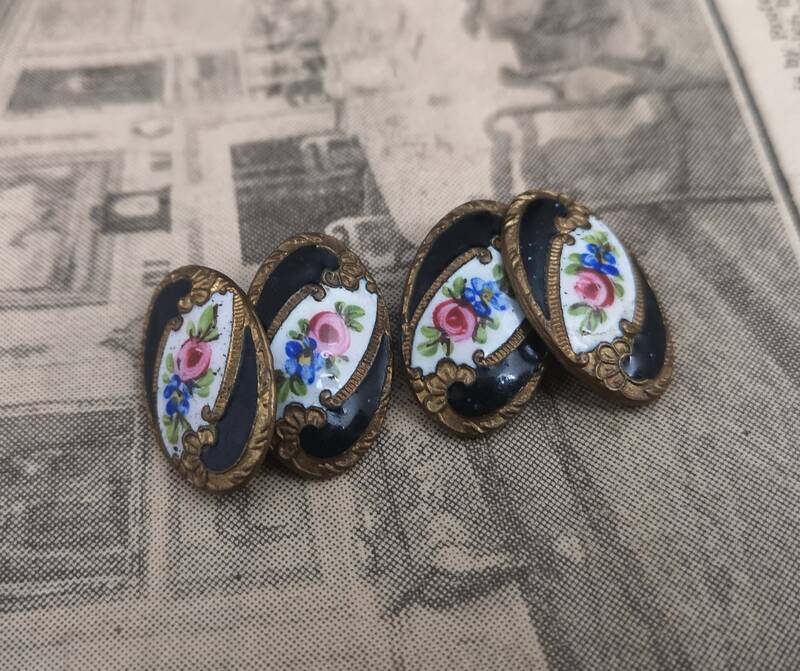 Oval shaped with a low relief swags design intercepted with a very detailed floral enamelled centre, either side then further enamelled in black. 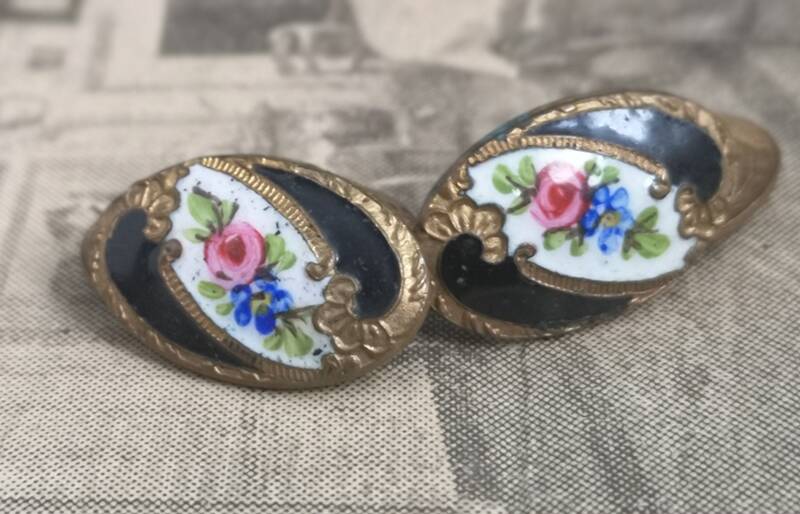 The floral detail has a white background and the reverse are gilt, there is no chain fitting and somebody has looped them with cotton though it is old cotton. 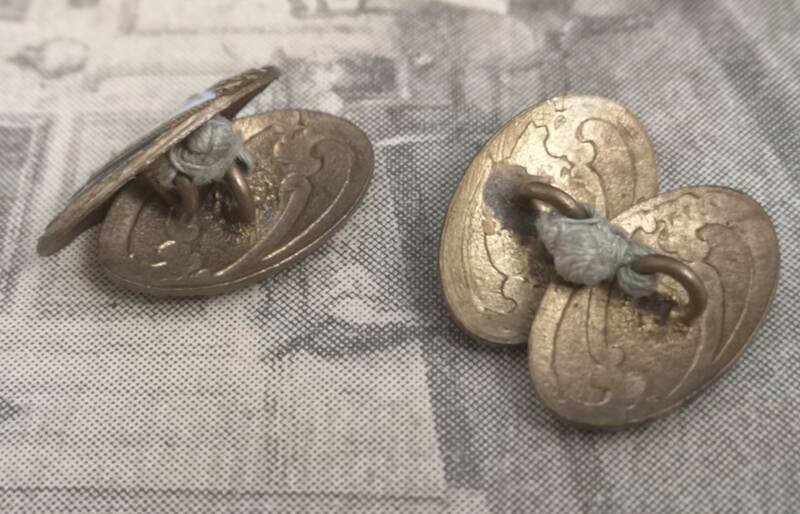 Approx 0.5" width and 1" height.